Kenwood KFC-835C 40W 3.5″ Round Speaker System has a water-resistant cone and offers 40W of power. 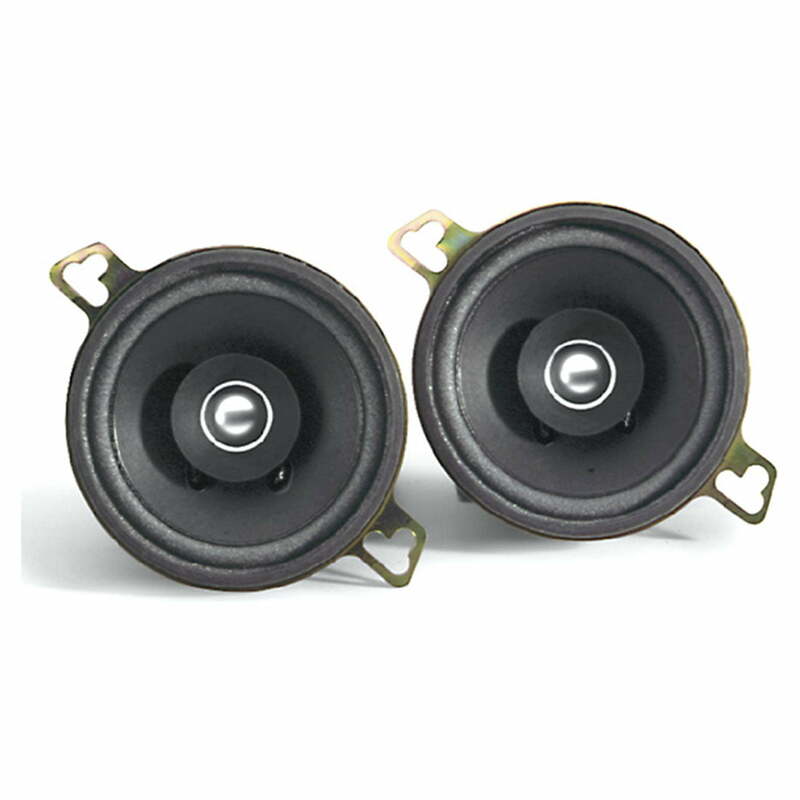 The KFC-835C 40W 3.5” speaker system is designed for dash applications. It has a whizzer cone which helps give it a frequency response of 96Hz to 20kHz. This Kenwood speaker system’s cone is also water resistant, so you can listen to your favorite tunes in many weather conditions. The KFC-835C is a slam-dunk replacement speaker for tired, old factory speakers. Designed for 3.5″ dash applications, this system has a water- resistant cone, offers 40 Watts of power, and sounds great, too!